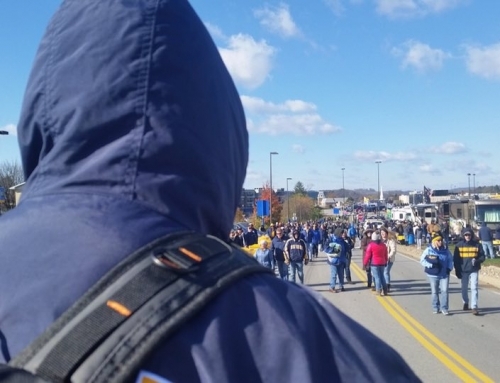 MORGANTOWN, WV – God has been more than faithful to our open-air efforts at WVU football games all year. Our last game provided more evidence of God’s acknowledgement of our prayers and demonstrated His sovereign control over His creation. 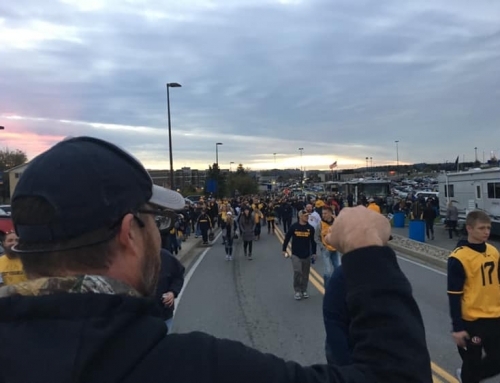 Though many Mountaineer fans will remember today’s game versus Texas as a miserable loss that saw the star QB leave with a broken finger, we’ll remember it as God’s faithfulness gloriously on display yet again. Due to hectic schedules, we would finish up the open-air season at WVU football games with only brother Eric Madia and myself. Both of us were all but ready to stay home as the laziness of the flesh and desire to stay dry were heavy. The closer we moved towards our parking area, the harder it continued to rain. During our call with brother Bill Adams of Sports Fan Outreach, whom we partner with for these games, we prayed that God would deal with our flesh, encourage us to press on through the weather, and if it would be His will to dial back the weather long enough for us to distribute Gospel tracts and herald the Gospel. It is truly a blessing to have a brother like Bill that takes a few moments out of his schedule to pray with us before we go out into the mission field. Especially on a day like this when we’re ready to quit before we start. It’s a gift from God to have someone like Bill to encourage us and spur us on. 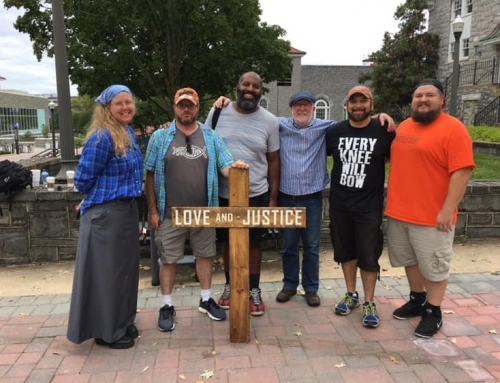 Open-air ministry is a lonely ministry to be sure and something that one grows into over time as the realization that God is all one needs to be satisfied and content. He is the One who can be relied upon time and time again. That loneliness is amplified as many in the Body of Christ abdicate their obligation to press beyond the 4 walls of the church house into the trenches to labor. Or to say it another way, the harvest is plentiful, but the laborers are few (Luke 10:2). So when the flesh says “No” in addition to all this, and the elements all around seem to be coming against one, it’s extra difficult. We arrived and left the truck doubting, discouraged, and unsure. We returned afterwards thankful, “full”, and Gospel-tired – which is a good kind of tired to be. 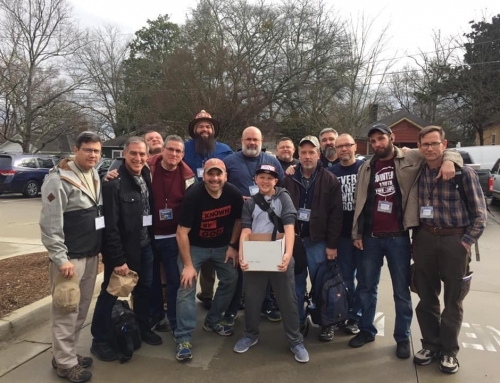 Yet, some of the most profitable times of ministry I’ve experienced have come after there’s been a significant resistance to the effort earlier in the day. And this day was to be no different (watch video clips here). Though the rain stopped and only returned in a light drizzle, it seemed we were being fought right until we started preaching. Just steps from our preaching spot, Eric dropped his coffee and box of Gospel tracts. It seemed like we couldn’t catch a break! 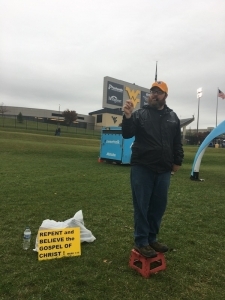 As I was preaching for the second time, a WVU fan stopped by and was listening to the message. I referenced there being sickness in the world as just one of many results of man rebelling against God in the garden. He seemed to take exception to this and interrupted me to confront me about it (watch video here). He was angry and was twisting my words to say that the people in the hospital across the parking lot were sick because of their sin. I clarified my remark, but he still would not hear. He continued to deny the truth about the effects of sin and walked off blaspheming God with profanities. Eric had wandered away from our preaching spot to hand out Gospel tracts. While offering them to fans passing by, one drunk fan slapped them out of Eric’s hand yelling, “GET THESE F#%*ING THINGS OUT OF HERE!” Eric suffered well, picked up the tracts, and continued. 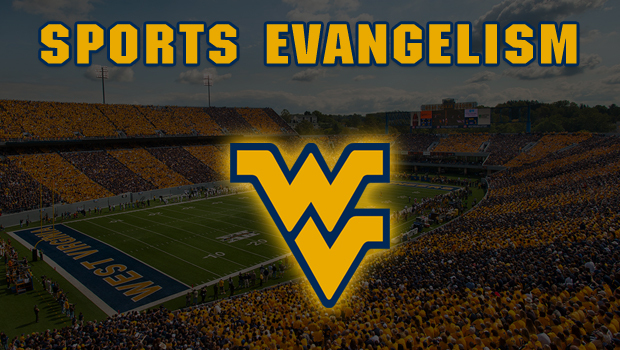 This is the first time things became physical in our 2 years of ministry outside the WVU football games. 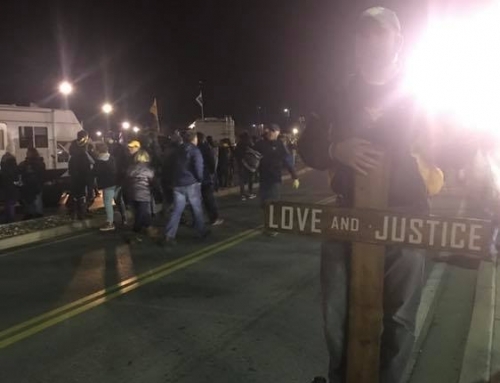 The crowds as a whole were more aggressive than usual. This was primarily due to the weather. When it is cold and wet, many fans will not tailgate until closer to kickoff. Thus, they try to squeeze 4+ hours of tailgating into an hour or so. This in turn causes them to consume alcohol at a more rapid pace which brings out more drunks than usual. Navigating these crowds can be tricky and one must be selective on who he engages from the box. 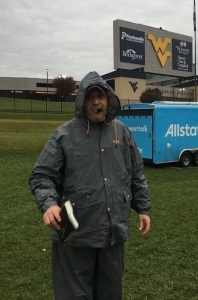 If you were to ask me how I’d like to finish out our year at WVU football games, 40 degrees in the rain is definitely not the way. Yet God’s ways are higher than ours for sure and His plan is perfect. Fans were engaged, heckling or not, and there were as many one-on-one conversations as the two of us could have. We arrived and left the truck doubting, discouraged, and unsure. We returned afterwards thankful, “full”, and Gospel-tired – which is a good kind of tired to be. Thanks to those who have prayed and/or contributed to our efforts. We look forward to continuing our work next year.